If you’re lucky enough to be visiting the beautiful coastal town of Noosa in Australia, then this post is for you! As one of the country’s most coveted holiday spots, Noosa boasts sun, sea, sand and surf all year round. However, there’s also a huge amount of stuff going on besides the beach, that you’d be crazy to miss out on. Having lived in Noosa for a year, I definitely know a thing or 2 about the best things to do and see in this part of the world. 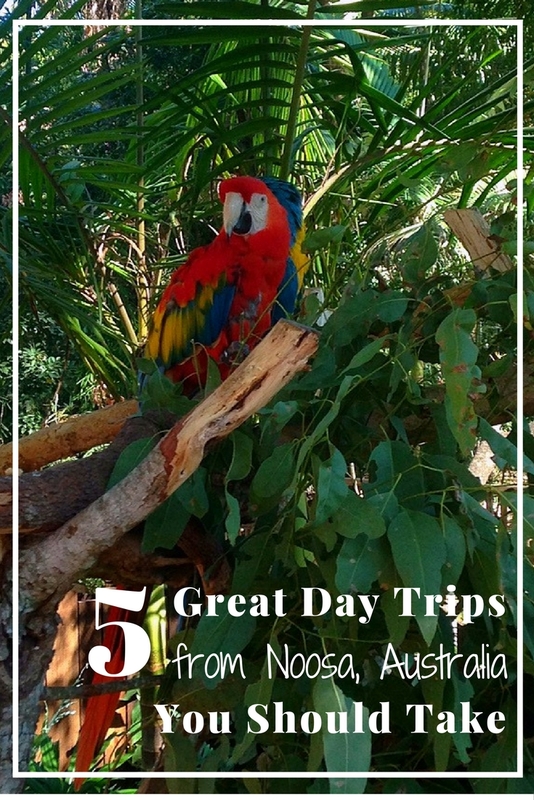 This list of 5 great day trips from Noosa you should take, has been written just for that purpose – to get you out and about, discovering and exploring some of the other things this wonderful part of southeast Queensland has to offer. Perfect for shoestring travellers, day trips are a cheap way of seeing more of an area without having to incur additional accommodation costs. With many in this list being easily accessible by car or bus, there really is no excuse not to see a little more of what the Sunshine Coast has to offer whatever what your budget. One of Queensland most popular and famous National Parks, Fraser Island is the world’s largest sandbar and probably its most stunning too. Filled full of colourful lakes, rainforest trails, natural jaccuzis and lazy-rivers, it’s essentially a massive adventure park for adults. Photo opportunities abound here with the island’s picturesque setting and its incredible array of wildlife including dolphins, whales, turtles and some of Australia’s last remaining pure dingo populations. Find out more by checking out the post about my camping adventure on Fraser Island and see why I still maintain this is one of my favourite places in the whole of Australia! One of the best ways to see Fraser Island is to drive your own 4wd there and stay overnight either by booking camping through Queensland National Parks or enjoying a bit of luxury and booking a night or two in one of the Fraser Island resorts. 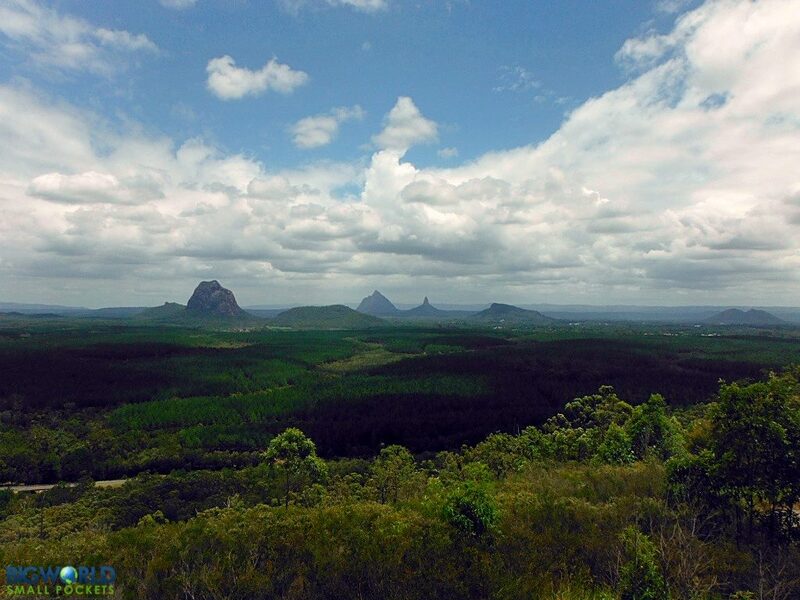 Situated about an hour south of Noosa, the Glass House Mountains are a collection of small peaks that jut abruptly up into the sky, seemingly from nowhere. 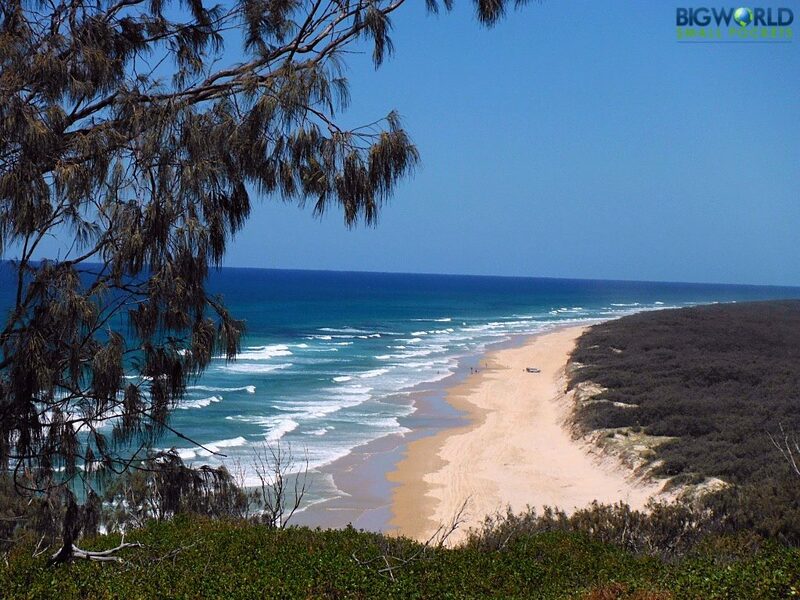 It is possible to climb to the top of a few of the summits, from where you will be rewarded with stunning views of the southern Sunshine Coast and its beaches. The mountains and immediate surrounding areas are under protected under National Park status, so facilities are low – make sure you bring sunscreen, water, hat and a camera if you are attempting any climbs! If you prefer a more sedate viewing, there are also a number of lookout spots that you can drive to and enjoy the vistas of the mountains without really having to leave the comfort of your vehicle. You can get more information about which peaks you are able to climb, as well as directions to the various lookouts, from the friendly folk at the Tourist Office in the Glass House Mountains township. This is also a great little village to stop at and enjoy a coffee or a picnic lunch. The Glass House Mountains are a little spread out, which probably means it’s best to drive between the various peaks and lookouts. I recommend hiring a car, as this will give you the flexibility to determine your own itinerary and route of exploration. The ex-HMS Brisbane has been sunk off the coast of Mooloolaba and can easily be experienced as part of a one-day, two-dive package of the wreck. Check out Scuba World for more details. If you’re feeling more sedate, but still keen for some underwater adventure, then look no further than Underwater World Sea Life, also in Mooloolaba. Great for kids, this super attraction boosts some great conservation research credentials and hosts 14 talks / presentations every day, which shed light on the seals, fish, molluscs, jellyfish, otters and rays of Australia’s oceans. My favourite hinterland town, Maleny, sits up in the hills behind Noosa. It’s around a 45 minute drive to get there, but is well worth it thanks to the stunning views as you make your way up the range. Maleny boasts a fabulous array of eating possibilities for lunch with lots of little cafes dotted around town. There is also a fabulous health store, the Maple Street Co-op, to check out and the wonderful Maleny Bookshop that you can easily spend a few hours in. A number of artisan food produces also inhabit this town and its surrounding areas, making Maleny a real foodie hotspot. Maleny Dairies are one of the most popular to visit and you are able to take a tour of the farm, as well enjoy some of the great ice cream they produce. Maleny Mountain Winery is another great place to stop off, learn about the vineyard and taste some superb local wines. For more information about wineries in the South East Queensland region, have a look at my post Thinking About Having A Cheeky Wine? 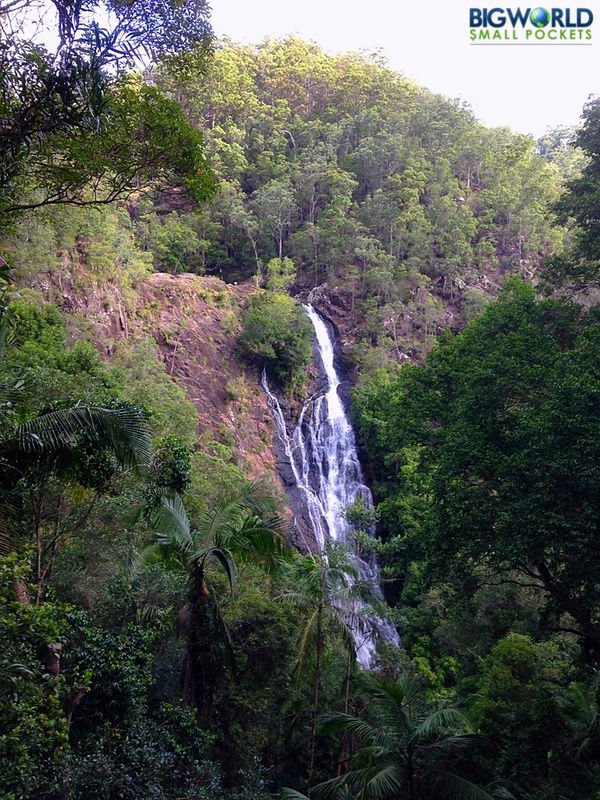 Why not make a whole day of your trip to Maleny and stop by the nearby Kondalilla Waterfall as well. Well-marked trails make this a nice place to burn off a bit of lunch and your efforts can be rewarded with a refreshing dunk in the pools of the falls at the end. 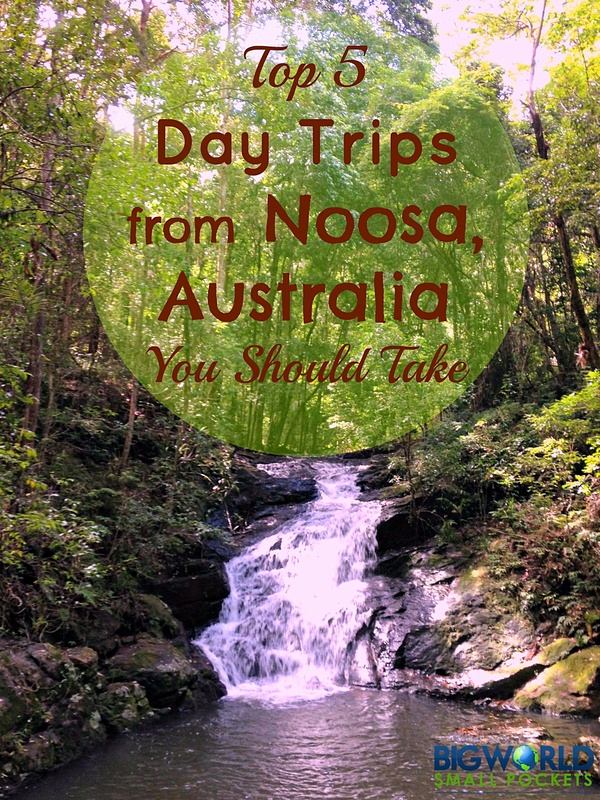 It really is one of the best day trips from Noosa. Australia Zoo, the Sunshine Coast’s most visited attraction, is Steve Irwin’s (aka the Crocodile Hunter’s) lasting legacy. A great family day out, the place has a fantastic conservation foundation to its work and is an educational experience made fun. Get up close with an array of Australian animals, watch them feeding and learn more about them in series of daily talks – there is an endless amount of activities here that can easily fill a day trip. Check out my post When is a Zoo not a Zoo? 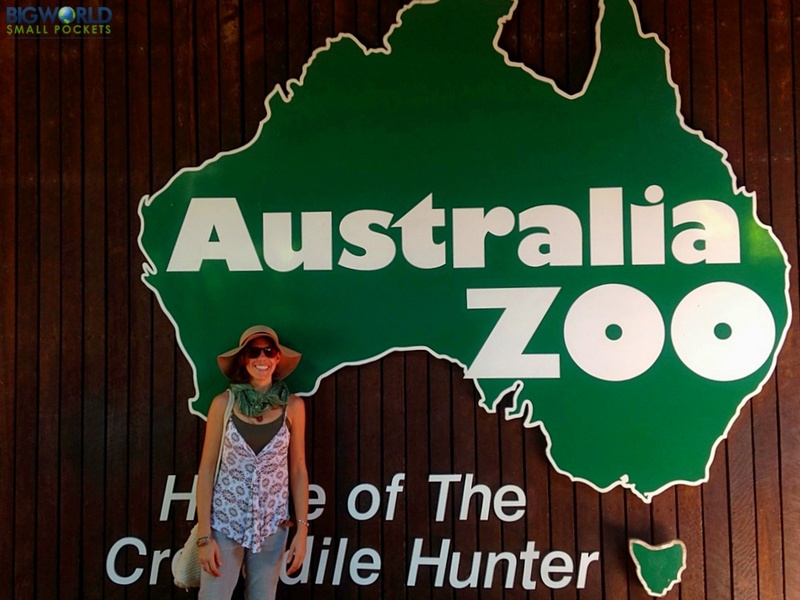 to learn more about the ecological work Australia Zoo does and to read about the day trip from Noosa I took there. If you’re without a car, Greyhound Bus can get you to Australia Zoo independently, or you can take a more direct and convenient shuttle service with Con-X-ion. Buy your tickets for Australia Zoo here. 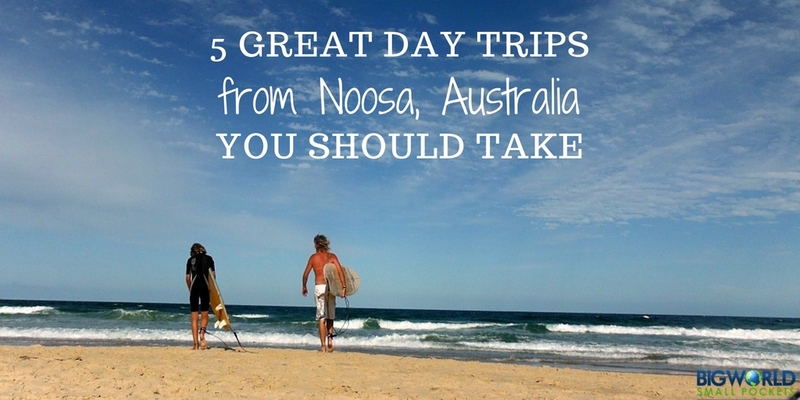 So that’s my list of the 5 great day trips from Noosa you should take. I love Noosa. There is something for everyone around there. 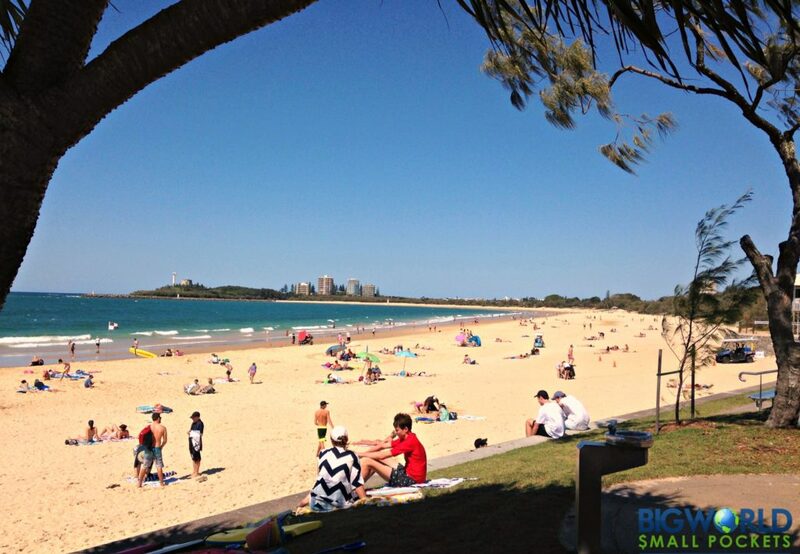 I haven’t done the dive at Mooloolaba yet, but it’s on my list! Don’t forget Eumundi Markets ? Brilliant shopping experience.